Our Foundation has developed publications as a supplement to our projects. We have developed studies, management plans and educational books in collaboration with other organizations. Connecting different types of knowledge, the importance of encouraging multidisciplinary education, discovering new forms of creation and research in which art and science are nurtured and enhanced, are some of the experiences we have experienced during these two years. This book brings together different views to speak from the simplest to the most complex relationships of life in the territory and encourages a view that connects ecosystems to think about their conservation. 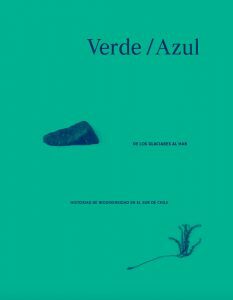 It includes illustrations by eight illustrators (the Chileans Tomás Olivos, Sebastián Ilabaca, Daniela William and Matías Prado, along with the Nordics Katrine Clante, Linda Bondestam, Bjorn Rune Lie and Siri, Ahmed Backström) and texts that explore the formation of the earth, the connections of trees and waters through fungi, plants and epiphytes, stories of glaciers, forests, wetlands, marine currents, as well as personal texts by: Alejandra Carimán on the relationship of respect with the territory of the Mapuche people; Iván Díaz reflects on the longevity of trees; Giuliana Furci on the incredible fungi kingdom, and the Danish illustrator Katrine Clante narrates her life according to her relationship with water and forests. 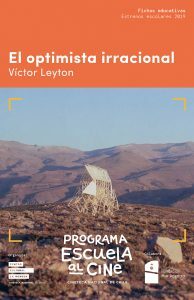 Available in bookstores throughout Chile. Soon to be available in its english version. 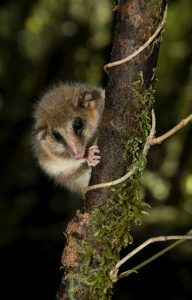 Dromiciops gliroides is a small marsupial endemic to the South American temperate rainforest. The Dromiciops gliroides has been considered a scansorial marsupial most frequently found in the understory. Nonetheless, several authors have hypothesized that this species could be arboreal because of its ability to climb through the vegetation. However, all previous studies on D. gliroides have been conducted from the ground, with no documentation of this species’ ability to climb trees, or how high they may reach. Here, we present the first evidence of arboreal habits in D. gliroides, and we analyze its functional importance for the biodiversity of forest canopies in Bosque Pehuen Park. Published in Ecosphere. In Chile, most protected areas are located in the southern Andes, in mountainous landscapes at mid or high altitudes. Despite the increasing proportion of protected areas, few have detailed inventories of their biodiversity. This information is essential to define threats and develop long-term integrated conservation programs to face the effects of global change. 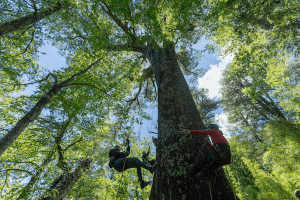 Consequently, the objectives of this study were to describe the richness, conservation status, and species composition of the vascular flora found in Bosque Pehuén Park and analyze the relationships among altitude, species richness, and growth forms. Published in BioOne. 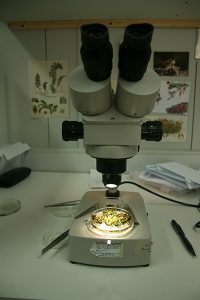 A paper on the vertical profile on the byophytes living on coigües based on the research carried out by Daniela Mellado, Carolina León, Gabriel Ortega, Javier Godoy, Ricardo Moreno and Iván Díaz in Bosque Pehuén published in the New Zealand Journal of Botany. 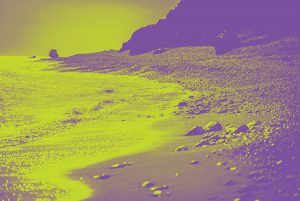 Fundación Mar Adentro's Cultural Program for the 4th International Marine Protected Areas Congress, IMPAC4. 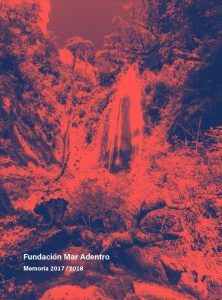 Program for the out-door space projecting videos where art and marine conservation meet, for IMPAC4. 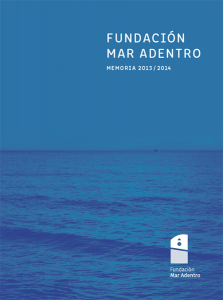 The programs and initiatives of Fundación Mar Adentro during 2015 and 2016, which all revolve around our central three axes: art, education and nature. 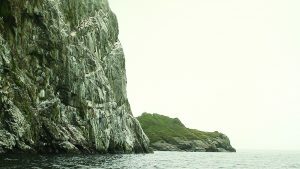 A summary of the work of Fundación Mar Adentro (Chile) during the years 2013 and 2014 in the areas of conservation, sustainable planning, education, and culture.